Sometimes, you just can’t figure out what the Blue Jays are going on about. Because they often do go on. A lot. 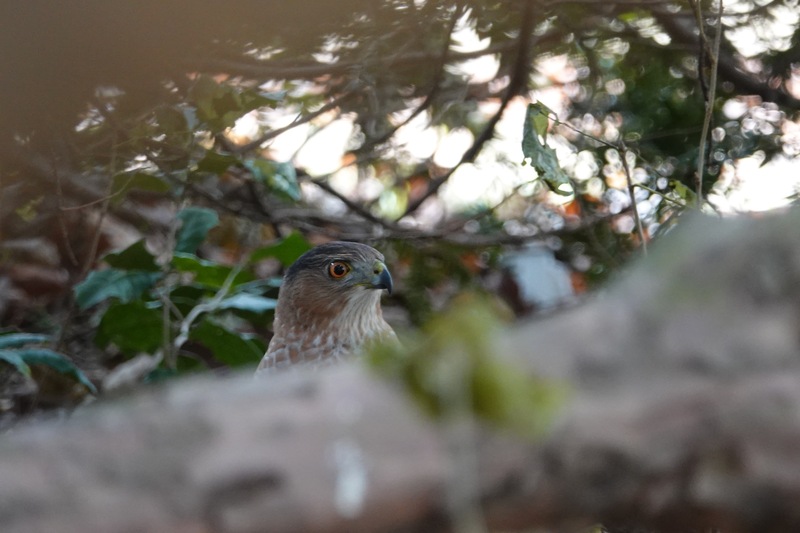 But when you also hear nuthatches calling continuously, then look out! Twice recently I’ve come across these cacophonous situations. 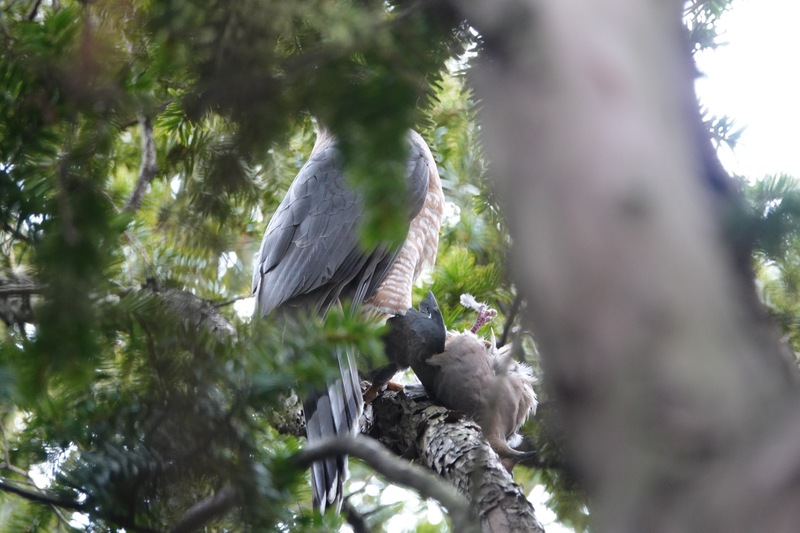 The multiple bird/multiple species alarm was resounding. 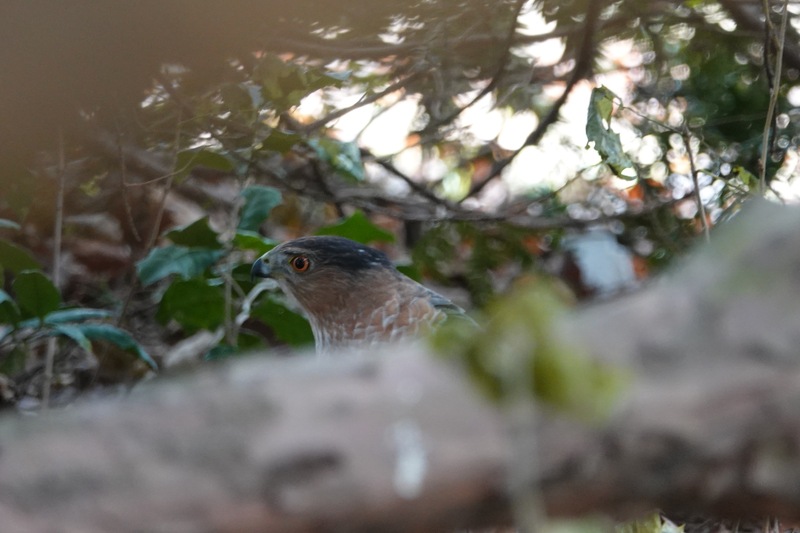 Both times, mature Cooper’s Hawk had prey inside evergreens. 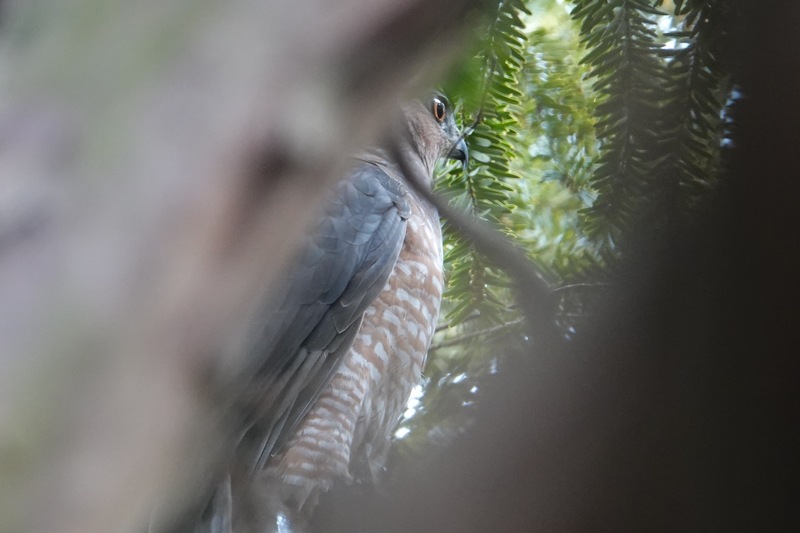 Where Red-tailed Hawks and even American Kestrels think nothing of eating out in the open, these hawks clearly like to take cover. 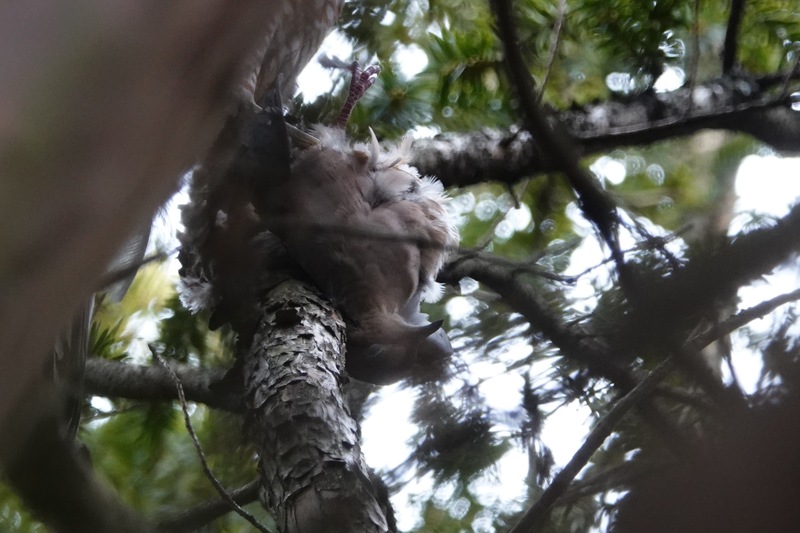 In this case, it was a Mourning Dove that had met its grizzly fate. Can you promote this pollinator event Feb 13 by the city Sierra Club? If there is enough interest, we might start a pollinator committee. Some of us are currently working on pollinators through the state farm/food committee of the Club.